I hear it all of the time: what are all of the cool kids wearing in the Whiteface Region? While there are many, I’ve compiled an overview of the most prevalent outfits you’ll find on this region’s fashion runways. Though I should note that while they are not all exclusive to the region, you can’t go wrong if you pack some of these “looks” when you visit. The Whiteface Region is known for being a habitat for Boreal specialty birds and the alpine summit of Whiteface is one of the few places that the rare Bicknell’s Thrush can be found. The Birder can be found wearing what looks like safari gear, and is typically identified by their penchant for alternately looking into their expensive binoculars or spotting scopes and excitedly looking at the sky. 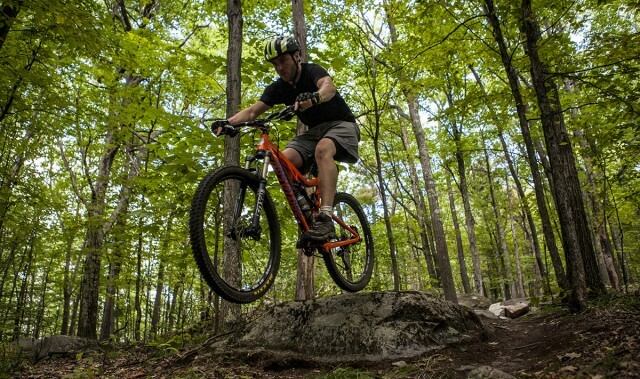 The Whiteface Region is indisputably the Biking Capital of the Adirondacks. The fashion on display here supports that. 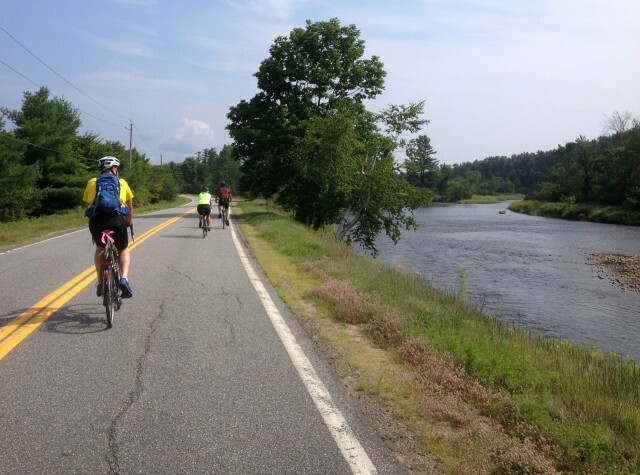 The Road Cyclist can be spotted on any of the gorgeous roads that crisscross the region. He/she will usually be found sporting tight cycling shorts and a biking jersey with convenient pockets on the back to store snacks such as granola bars, energy gels, and gummy bears. In my personal experience, those pockets can also hold cell phones and important paperwork such as a map to find your way back. The jersey or windbreaker that covers it is often a beautiful shade of fluorescent - a real show-stopper (and a necessary car-stopper). A slight twist on the typical road cycling outfit, the Uphill Bike look could be inspired by the pure lack of oxygen. For those who want to achieve the look of one who climbs the 8-mile relentless Whiteface Mountain Veteran’s Memorial Highway on two wheels, you’d choose lighter, breathable fabrics, short socks, a windbreaker for when you reach the top, and a can-do attitude. In warmer weather, today’s mountain biker sports baggy cycling shorts, fingerless yet amply-padded gloves for those abrupt rocky landings, a camelback for appropriate hydration, a lightweight cycling helmet, and mountain biking shoes that fit clipless pedals—allowing one to ride as well as dismount and walk straight into the Little Supermarket in Wilmington to obtain a gigantic sandwich for sustenance. 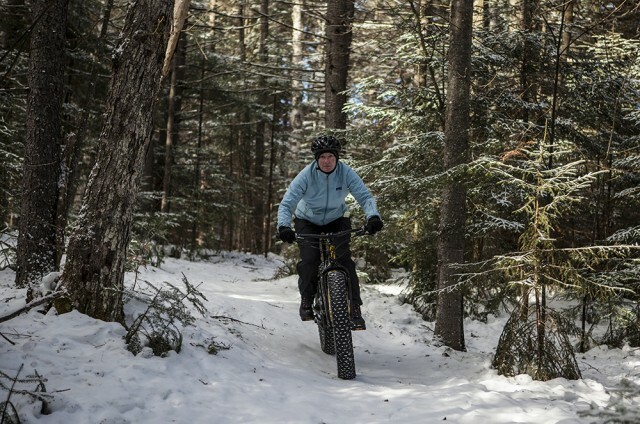 In winter, when conditions allow, one might find bikers on fat bikes or traditional mountain bikes wearing the appropriate number of wicking layers under nordic ski pants, a breathable jacket, an alpine ski helmet (as it already has built-in insulation to keep one’s head warm), and warm gloves. 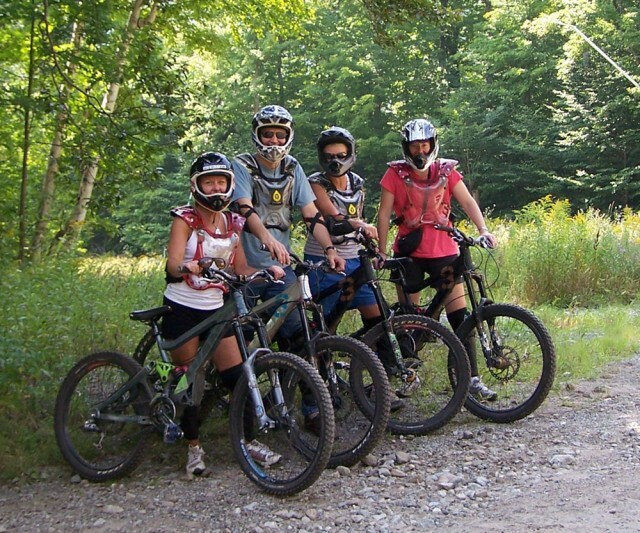 A specialized look is required for this specialized sport conducted on a variety of trails down Whiteface Mountain’s ski slopes once warm weather arrives. Completely unique, the downhill biker is characterized by a football player’s worth of armor, including shoulder pads reminiscent of the 1980s, and a crazy gleam in their eye. 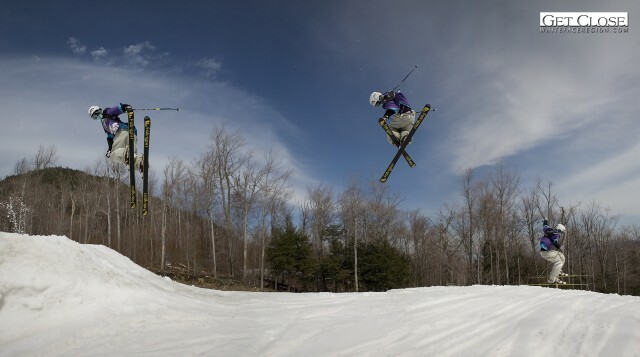 Of course, the Whiteface Region is home to its namesake mountain, and one can find at least 4 sub-styles on any typical day. I remember the good old days when the most stylish skier wore denim jeans with a CB ski jacket and always had a bandana to protect their face on cold days. 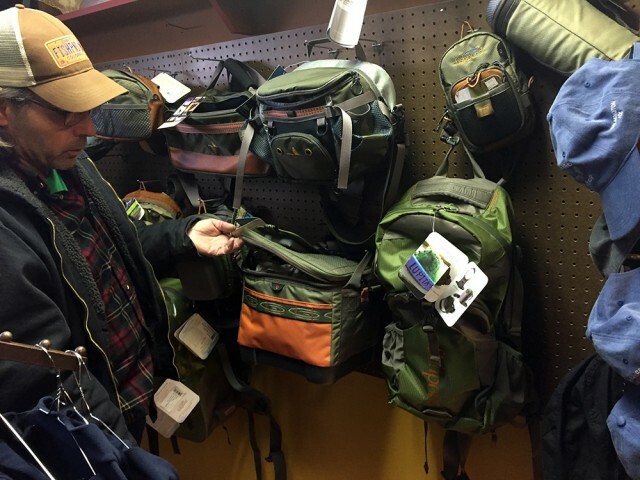 Today’s discerning alpine skier and snowboarder wears a muted earth tone-colored jacket and lined, waterproof and usually black snow pants, according to my resource, Ross Treistman from Cunningham’s Ski Barn. The skier or rider may choose to stand out with a bold helmet choice, as there exists a huge variety of colors and levels of sophistication in fit adjustment (and price). Warm, waterproof membrane gloves are a good idea for a day on the slopes. This will be topped off by goggles - with interchangeable lenses for different sunlight levels, though a dark selection could be used to consistently to hide one’s facial expression. Alpine Touring (AT) skiers might don a few different layer options, as they shed some of them as they “skin” UP the mountain and replace those layers for the shush back down. This doesn’t, however, affect the outward “look” of these free-heelers, just the amount of work involved. The Whiteface Mountain Veterans Memorial Highway becomes a super-ski highway in winter. One can find a mix of outfits comprised of layers of polypropylene, fleece and other wicking materials, and additional warm and windproof layers to add once the workout on the way up is achieved. The gear ranges from AT to traditional nordic “skinny skis” to metal-edged backcountry skis, and usually includes a backpack to hold those aforementioned layers when not in use, plus a thermos of liquid. The type of liquid depends on the individual, of course, but does not affect the overall appearance of the skier. One will sight dozens of these types all along the famous West Branch of the Ausable River, you know — where the Mountain and River meet. These casters of disaster (there’s no disaster, but a rhyme was indicated here) are easy to spot either on the edge, or right in the middle of the river wearing the typical hip waders to keep the water out and handy-dandy vests with tons of pockets for all of the flies and hooks. I’d suggest the addition of a bright colored pocket square to this look if they'd let me. 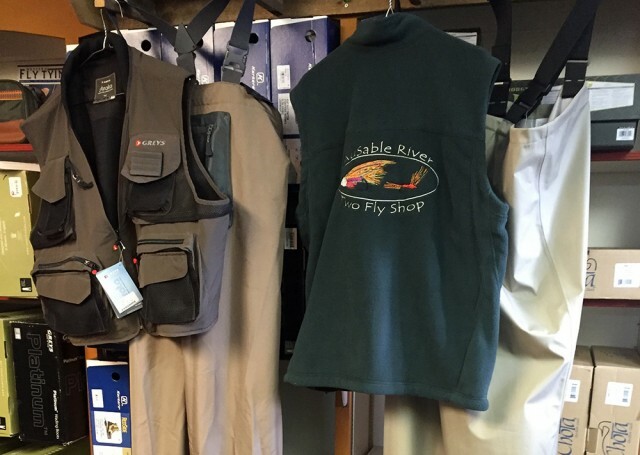 I consulted with Tom Conway from Ausable River Two Fly Shop, and he explained that there are a number of fly fishing-specific clothing options and accessories. These include shoes with replaceable soles for different terrain types - such as grippy soles for rocky river bottoms, and waterproof lunch bags - nicely appointed with appealing trim. With collections influenced by the whimsical superhero and the high-tech urban skateboarder, and a palette that ranges from subdued earth tones to eye-jarring fluorescent yellow, this is certainly a region that’s setting the international tone for outdoor recreational fashion. Planning to visit? 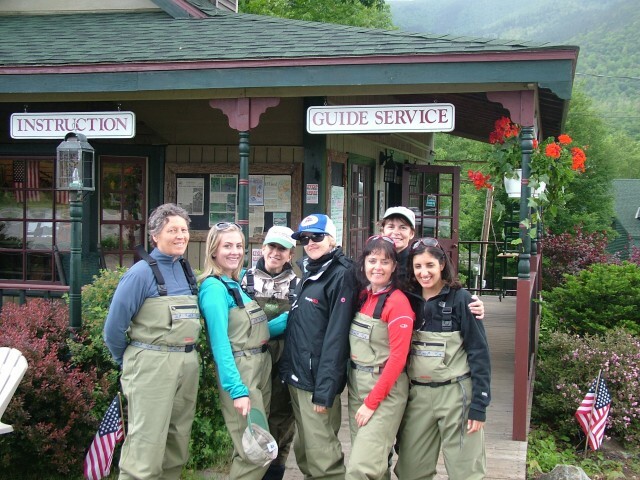 Pack up your goggles and hip waders and check out the available lodging packages!